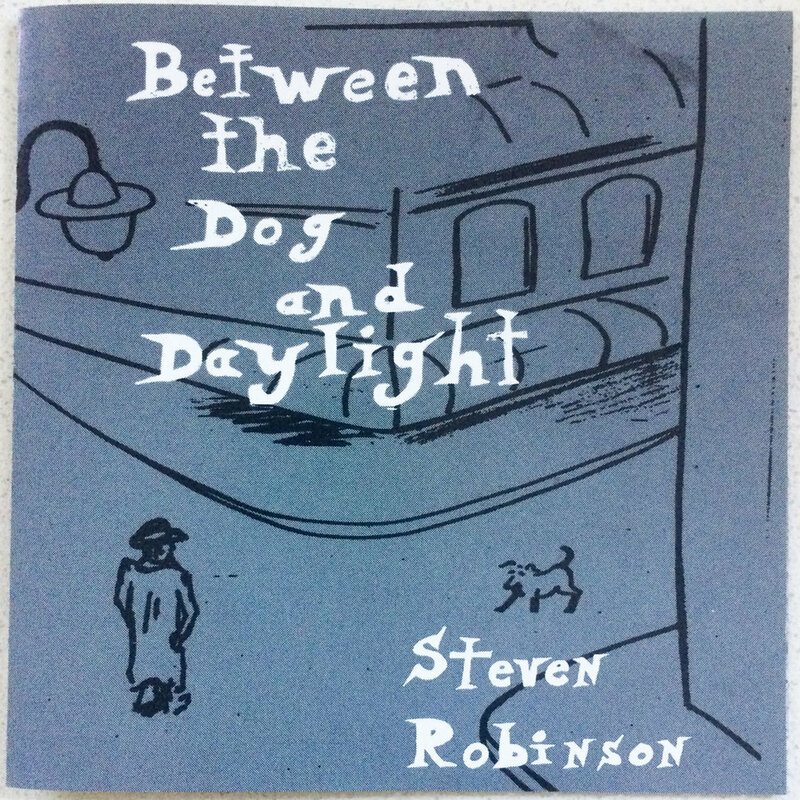 Between the Dog and Daylight, released in 1997 was recorded and produced by Steve Robinson. A 4 track recording on cassette using all acoustic instruments, or as Steve described it “only instruments that didn’t need electricity to make a sound”. The album reached national airplay in Australia and college in the US. It was also included in the Australian Sound and Film Archives for its originality. Brooding and badly behaved the album swings wildly at social, philosophical and political norms with essays on the expressionism of Brecht with a Kurt Weil influence. Richard Kingsmill at the time a DJ with Triple J described it as "Waitsy". When the Money Came was a written as a result of grossly underfunded tours to Melbourne where Steve discovered the Brunswick Street and Fitzroy areas. It describes the tradition of rundown cheaper city suburbs, having been inhabited by struggling artists attracted by nearly affordable rents, being discovered as trendy and sophisticated by a more upwardly mobile demographic. The interest driving gentrification and huge rent increases finally drives the struggling artists out, the very element that made the area attractive in the first place. The Porter Street Tapes was the result of earning enough money through live performance royalty to purchase a 4 track cassette recorder a microphone and a set of headphones. At the time Steve's songs were being performed by 5 bands, had reached commercial rotation on radio and several video plays on ABC's Rage. The album took 18 months to record with Steve playing all instruments. Recording in a house with no sound proofing situated next to a main rail line, tracks were recorded between trains. There were no effects used in the recording, Steve used live room sounds for reverb and delay and there was no production such as compression, noise suppression etc. The floor of the house was even used as a kick drum. The result was a fresh powerful and creative work. It was accepted into the Australian Film and Sound Archives for its uniqueness, creativity and the achievement of such sound quality without minimal equipment. It reached Triple J in Australia and college in the US. A Cast of One was a project to capture material that was as far away from the pop and rock and roll world as possible. I composed two pieces for cello and voice on the A side. The B side was minimalist acoustic guitar and trumpet for the first song and an arrangement hanging off bass in seven eight timing for the second. Recorded at Studio Arts it was the precursor and inspiration for The Porter Streets album to follow. 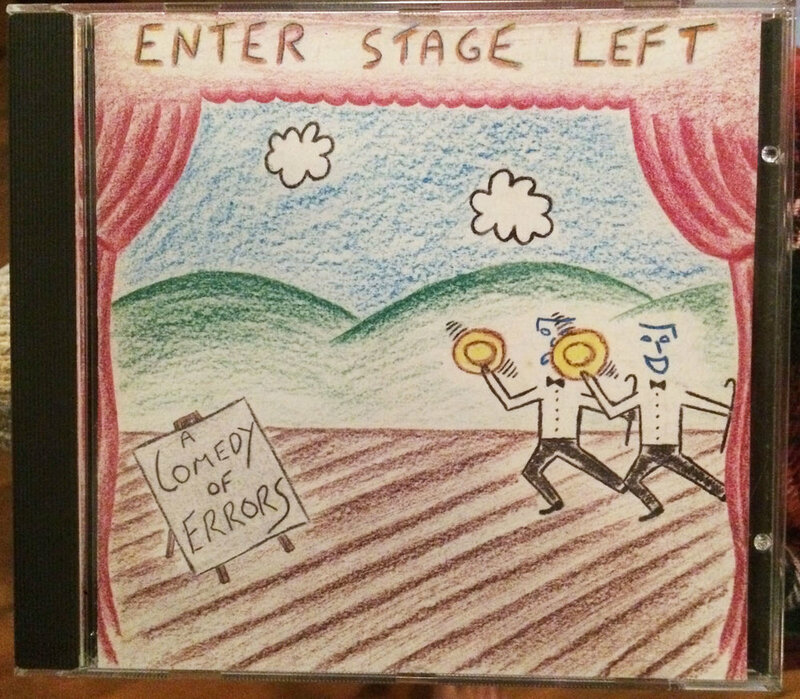 Enter Stage Left was an idea to independently produce a brand new product called a Compact Disc. Described as madness from the start, the band A Comedy of Errors had a following of students and unemployed that were lucky enough to afford a cassette and so the band was given little chance of selling the grossly expensive technology of a CD. And if they did no one could afford a CD player at the time to play it anyway. To bring down the final sale price the plan was for an EP. At the time there was no format of a CD EP in Australia so the pressing had to be done in the US. The recording was financed by Studio Arts to promote the studio's ability to master CD quality and the release financed by Steve. After laying the bed tracks for 7 of the 8 songs the band broke up. Apart from the usual tensions, the proposal that the band could play a series of gigs to pay back some of the investment proved to be a bit too much of a stress. This left Steve and Studio Arts to complete the half finished project. The idea of releasing any kind of product came from the song "One Fight" which as a cassette demo was getting rotation on Triple J. Unfortunately that recording was lost. Re-recording any song is always a fraught exercise and "One Fight" proved to be a bigger fight than most. Sounding nothing like the original the song, the first track on the CD, lost it's Triple J momentum. The third song on the CD was a throw away set filler that no one took seriously. Being not quite sure why it was even considered for the project the recording for it was done virtually as a live one take second thought. "She Was My Life" though was the track that was picked up by local commercial radio and was on rotation for two months. The last track, "In Your Head", was the first song for Steve in a direction after the band split. It took quite a bit of convincing to include on the CD and was the first recorded example of Steve's career in recording all the instruments. The singer and drummer of the band were guests with some vocals, congas and hand claps. Enter Stage Left remains as a significant achievement in the history of Wollongong music. Reaching rotation on commercial radio, a feat never before or since achieved by a local band, attracting print and local television news articles, the release inspired a considerable audience to the Oxford Tavern, the venue it was launched at, creating a massive following. It also proved the production quality Studio Arts could achieve creating enormous demand for their recording, production and mastering services.